There’s hardly a parent in the world, especially those with boys, who is not aware that the prevalence of learning disabilities is skyrocketing. Including other neurodevelopmental syndromes like ADHD, autism, and Asperger’s syndrome, learning disabilities have unfortunately become commonplace in the lives of our children, and by extension, families. When most of us think of learning we naturally think of the kinds of learning that occurs in school. The most widely discussed learning disability is dyslexia – and justifiably so. Reading is the foundation for many other types of life learning, and I think most of could agree that having to get through life without reading skills is a stiff sentence – and one that no one deserves. It is my hope that other kinds of learning challenges, equally important to a successful life, will soon gain greater recognition and intervention. Specifically, let’s look at social learning problems, which include the realm of nonverbal learning disorders. Social learning plays a critical role in helping children manage fundamental milestones such as forming friendships, making a positive impression on others and learning to read nonverbal communication – “body language.” Because these learning skills may not directly affect academic performance they are often seen as less “urgent” than dyslexia or a math disability – but don’t believe it. Social learning is every bit as important to healthy development as learning to read or do fractions. In chapter seven of my book, Boys of Few Words, I discuss new research which identifies an important link between dyslexia and social learning skills. It turns out that phonological awareness – the ability to hear and discriminate word sounds – is a common problem among socially challenged kids. In addition, can you imagine how much less social knowledge you might have if you weren’t a reader? Remediating social learning problems can be more complex than improving a more specific learning disability like reading or math because their effects are often pervasive. Children with social learning problems require help at home and school. The families that are most successful in helping a child overcome social learning problems collaborate carefully with schools. It is very powerful for a child to see that significant adults in her or his life are “on the same page.” If your child is the beneficiary of an Individualized Educational Plan (IEP), make sure that social learning challenges be addressed within the scope of that plan. 1. Limited Friendships – As you might expect, children with social learning problems tend to have fewer friends, or tend to quickly “go through” friends as they alienate peers in succession. They may complain about the situation, or in some cases, may try to conceal their hurt by diverting their focus toward more solitary pursuits. 2. Excessive Self-Consciousness – Having a social learning problem is difficult enough, yet for some children, their awareness of the challenge makes life even more awkward and anxious. Look for signs that your child becomes excessively anxious around peers. As parents, we often try to coach kids just to be themselves, but this is a tall order when a child is self-conscious about every word or mannerism. Conversely, sometimes a child is so “out of tune” with how he or she “comes off” that there’s not enough “self-consciousness,” or self- regulation (see #3). 3. Frequently Missed Social Cues – The technical term for this problem is a pragmatic (practical) communication deficit. Elements of pragmatic communication are discussed in depth in Boys of Few Words because so many kids struggle with skills like accurately “reading” gestures and facial expressions. When you see your child misinterpret the body language of a peer, react out of all reasonable proportion to the remark of another, or fail to notice obvious nonverbal cues, you are probably seeing a need for better pragmatic communication skills. 4. Difficulty Sustaining Conversation – Being able to maintain a flow of conversation appropriate to one’s age is a basic social necessity. A child may be very smart but still at a loss for words. Such a problem is heightened by social anxiety – which may stem from the very problem of being a poor communicator! This relationship highlights the reciprocal influence of communication and self- confidence. Gaining expressive skills improves confidence and self-esteem. 5. Complaints that “Nobody Likes Me” – Because having friends is so fundamental to a child’s well-being, it is normal to be concerned about whether one has “enough” friends. Bear in mind that while your child’s complaints may indeed reflect a problem, children and adolescents with social learning difficulties often assume the worst, or exaggerate their social failures. We shouldn’t diminish the emotional impact of having too few friends, but sometimes a little “fact-checking” with a child’s teacher can help gauge the seriousness of the problem. According to a November 27th New York Times article, “Kids Gone Wild,” by Judith Warner, parenting priorities seem to be shifting. The article reports that rude behavior among children is rapidly increasing. In 2002, only 9% of adults were able to say the children they see in public are “respectful” toward adults, and in 2004, one in three school teachers said they seriously considered leaving their profession because of “intolerable” student behavior. Teachers also complained that students verbalized their awareness that families could sue schools, and that as a result most teachers had become softer on discipline. The NYT article goes on to say that today’s parents are far more concerned with their children’s achievements than their behavior. The result – kids who qualify for admission to great schools but who don’t know the basics about demonstrating public civility. Although I’ve seen many examples of incivility as well, my experience has been that the vast majority of parents value respectful behavior, and the preponderance of children appreciate, and desire, constructive guidance about acceptable public (and private) behavior. Success and approval are the most powerful “drugs” we have, and we should ensure that kids know how to get their daily dose. Tying approval to considerate behavior to others, as well as academic or athletic performance, is the key to raising kids of character. Question: My youngest son has a reading disability. Could that be related in some way to his difficulty making friends? Answer: Absolutely. First, the same parts of the brain that are involved in some reading skills are also involved in social awareness. Second, a reading disability can certainly affect self-confidence. Third, children who read less typically have less command of language and communication skills. Intensive help with reading skills would be a good idea and, to the greatest extent possible, focus on reading topics of interest to your son. He will be more likely to look forward to your joint “read-alongs” if the book immerses him in ideas that speak to him. Question: Why does my five year-old son think he can speak to me, his mother, so much more disrespectfully than he does to his father? Where did such a young child learn this? Answer: Unfortunately, the problem you identify is relatively common. Many children intuitively feel that their mother is the last person who will ever reject them, and so she is targeted for expressions of frustration and anger. While you want your child to feel safe about expressing his emotions to you, it doesn’t mean that you should become an “emotional punching bag” for him. Kind-hearted parents can slip into the trap of making excuses for unacceptable behavior (“he’s not really like that, he’s just tired, etc.”). Mothers walk the fine line between nurturer and enforcer. Set some ground rules about respectful communication and follow through consistently with appropriate consequences if he fails. Prompts, such as, “can you think of another way to ask me?,” can help. 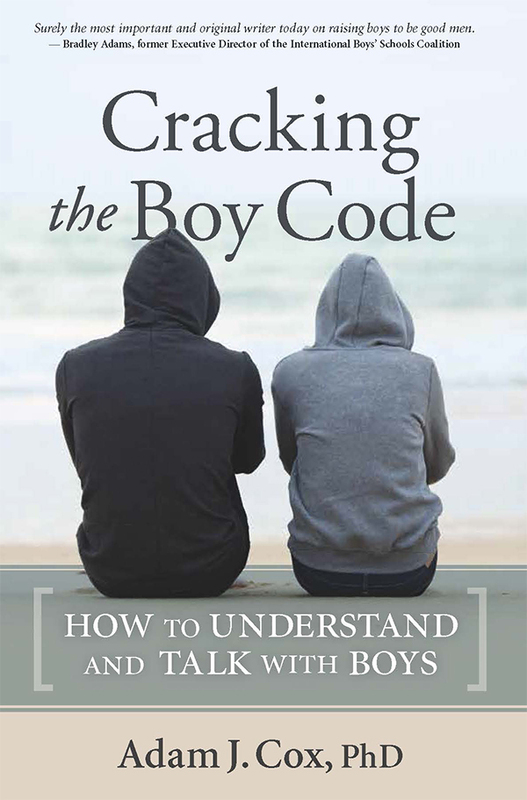 In addition, boys often take a cue from their fathers about gender-appropriate behavior. In houses where fathers tend to speak harshly or condescendingly to mothers, sons are regrettably quick to adopt a similar tone in their own speech. The solution is straightforward. Both parents should sit down with a child and clarify what is and is not acceptable regarding child-parent communication. (Not only will your son learn important skills and values, it can be a big help to a marriage as well.) In families led by single mothers, enlisting the influence of a concerned male authority figure can also help. It is imperative that fathers and other male role models demonstrate how boys should communicate by modeling that example as much as possible. Question: My adolescent daughter wants to wear clothes that I think look provocative and may invite trouble. How do I talk to her? ‹ TV Is A Drug – Are Your Kids Addicted?